Yahoo Jobs 2013 for freshers for the position of Java Developers for Bangalore location. 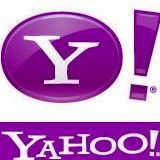 Yahoo softwares inviting the online applications for the post of senior software engineers. Candidates having the knowledge of Java and J2EE, App servers, web servers like Tomcat etc. can apply online directly using the link given below. Candidates must have hands-on-experience in coding (object oriented programming language), good knowledge of data structures and low level design and Good communication skills. Interested candidates can check the eligibility criteria, skills required and responsibilities before applying to the job. Click on the following link to read all the job details and apply online.